So glad I found my old friend! I thought I had lost this program when it went off air. I’m glad to have it back, now in my pocket, so I can listen while walking the dog. Warren Olney always has the most interesting guests that nobody else has. I have learned so much from them over the years. Thank you for this great program! Warren is the best! Intelligent questions... fact based answers. Nobody can host a news show like him. To the point is my go to podcast for all the latest news. Never disappoints. To the Point was one of my favorite programs on my local public radio station, but I actually find it even more informative since it has moved to weekly podcast. Warren Olney is an excellent host and moderator, and he always has insightful, knowledgeable, and erudite guests to do a deep dive on a variety of timely topics. The podcast format allows more flexibility for the show in a way that really lets these thoughtful discussions shine. This is a very intense podcast. It’s wonderful that the host allows his guests sufficient time to thoroughly answer questions and explain positions. A lot of information here. So glad to have you on podcast without phone call technical difficulties. Warren Olney is the most knowledgeable and intelligent interviewer. He always has knowledgable guests, clarifies when they speak jargon, and always remembers to thank them for coming on his show. You can tell they enjoy conversing with him too. He has the best guests representing a range of political leanings, and he covers the current events as they happen. Olney then asks questions that are 'to the point' and then gets out of the way of the guest experts. The dialog is always civil even as the guests give their spirited and well-prepared views. It could not be better! Warren Olney is by far the best radio interviewer out there. Intelligent and well versed in the subjects, he facilitates the discussion with an almost invisible hand. His rhythm, pacing, and intuitive communication style allows him to guide the conversation without talking over or stepping on his guests’ points. I also love that To The Point doesn’t waste time or lose pacing with call-ins (unlike that other “Point” show...) - the hour just flies by. I will dearly miss Mr. Olney when he retires. To the Point is among the most brilliant, intellectually expansive and thought provocative journalism available anywhere. Warren 0lney reminds all listeners that education makes civilization possible. 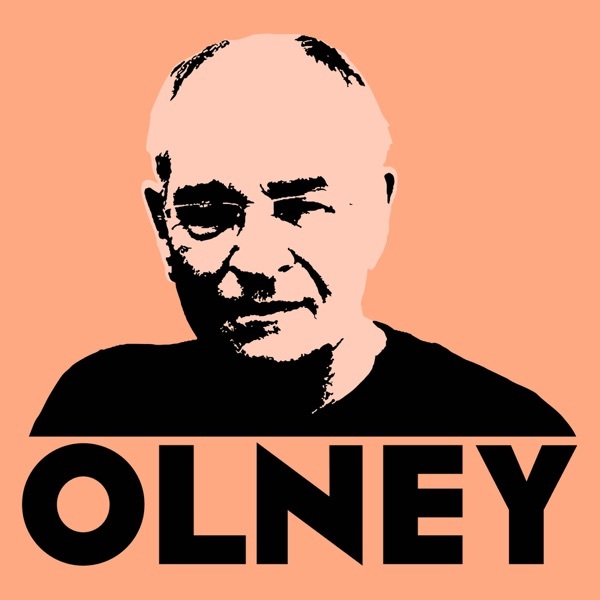 Thank you, Mr Olney. I have missed Warren’s voice, since he left daily broadcasting on KCRW. Following him since the Uprising of ‘92, I have found him a source of unbiased, rigorous reporting, and graciousness,as a host and cat-herder. Delighted to continue to listen to his lively conversations on the airwaves! Hello Warren...new to the podcast, but really appreciate the tone of the podcast (no yelling) and the variety of guests to reflect both sides on this latest Israeli-Palestinian snafu. Will be listening regularly. Hope you address this current affair type of subject matter, and perhaps also very important issues that are not so in our face. I so appreciate listening to people who spend their time and energy trying to understand complex problems in our world today. Thanks again!! Warren Olney is superb! He is one of very few journalists who ask his guests “why.”He’s also famous for saying”What about that?” after playing a clip of a guest’s own words. We hope he podcasts for a long time to come! It is essential to have Warren Olney’s steady hand facilitating calm topical discussions that elsewhere are hyper-partisan hyperventilating. Warren is a journalist - he brings reporters and pundits together to talk, not shout. Better than ever, Mr. Olney. The best guests and most insightful analysis. Informative, balanced, and extremely well researched. I’m a busy physician with a limited amount of time. I always trust to the point to give me a concise well balanced discussion on the world’s pressing issues. The guests are always experts in their perspective fields who take the time to share their valuable incites on world events. I’ve been a loyal listener for almost ten years. I was sad when the daily radio show went off the air but I get my weekly fix with the podcast. Listening to a one hour show is almost equivalent to reading 15 articles in leading news journals (ie Economist, NYT,WSJ, NYorker, etc). It seriously makes you smarter! There is no better journalist alive than Warren Olney. So happy he moved to podcasting, so everyone has instant access to his insightful conversations. I, like many more listeners on these reviews, wish all political discussion shows were like Warren’s. Tired of the out of control arguing and blatant propaganda that too many shows turn into. Fed up of gotcha shows or the next fake information. Well balanced, well informed, great pacing, very important and current issues discussed. Warren is a master of this format. I never miss a podcast (never missed a show previously) and not always do I agree on all points but that kind of discourse is what i seek. Congratulations Warren Olney and your team for journalism at its best. Mr Olney +podcast format = perfection! Warren Olney has knowledgeable guests, asks simple questions that go beyond politics. Questions that need to be asked to get to the point while further illustrating the topic of conversation. Olney is the perfect pivot moderator radio host. Meaningful, educational, non partisan, conversation in the events of today. I’ve been listening to Warren Olney for decades on KCRW. I was so happy when podcasts allowed me to continue listening after I moved out of radio range. Now with this new show it’s even better- concise, smart & always gets the best guests (and NOT whoever is making the circuit but the deep thinking expert or politician). Warren has little ego and allows the guests to shine. I love how he asks critical questions representing other viewpoints just to allow guests to provide counterpoint. Warren, I miss hearing you every day! But now I guess it’s quality over quantity. If you like Ezra Klein or Terry Gross add Warren Olney to your podcast subscriptions. I promise, I donate money to them (home radio station KCRW), not the other way round. Nothing else needed. Warren is the best. Olmey has traded in the calls and commentary which often seemed to end in nonsensical discussion. Now he does in-depth interviews with really interesting people. I’m much more interested in the show now. Loved the show miss the daily radio broadcast glad it lives on in podcast though! So happy I can now listen anytime to America’s BEST political show. Well done discussion on political and social topics, presented in a nuanced measured way. Welcome to the world of podcast glad to have this program. Warren Olney is the gold standard for thoughtful, knowledgeable journalism and real discussion of current events. He hosts real experts across the spectrum, navigates different and opposing viewpoints and doesn't shy from conflict, all while remaining openminded and respectful. He asks the questions you are wishing the host would ask, but never does. Proof: repeat appearances of famous expert guests who presumably have other important ways to spend their time, always humbly thanking WO for the privelege. The best. Can't over express how happy I am to be able to listen to this show as a podcast. Excellent analysis and perspective on not just current issues, but the context which surrounds them. Warren Olney is the best journalist in America. Left leaning organization but, this program is a very fair look at current events. Great guests. Warren is the man! As a center right voter wish they would have more regular guests from NRO, Commentary, and WSJ but, KCRW does a great job at getting most view points on the program. Highly recommend. In this age of flashy news as entertainment and biased talking heads, I rely on Warren Olney as a an unwavering voice of unbiased journalism. The content is intelligent and the tone, no-nonsense. Thank you. I worry for the future when people like Olney retire. He's good at covering the important topics. He does a very good job of having people from a range of opinions from conservative to liberal and people in between to express their opinions. It helps to have a more well-rounded perspective on any of the topics. You should be more honest with the name of your podcast. I was hoping to hear all sides of issues and tease out for myself what is and isn't truth. So slanted and using opinion as fact. thanks for helping to spread the hate and divide in America. Always informative and intelligent. Keep up the good work! To the Point is public radio's best, no-nonsese, comprehensive news and public affairs podcast. Mr. Olney is the connsumate professional: well-informed, measured, fair, inquisitive and unpretentious. The guests are extremely well-chosen by what must be an excellent production team, and Mr. Olney expertly manages them. Unlike other shows, To the Point never seems scripted. It's spontaneous. The hosts and teams like On Point, One-A, Morning Edition and All Things Considered should carefully listen to and learn from Mr. Oleny and the To the Point team. Wonderfully hosted by Warren Olney, unbiased and asking good questions to quality guests, who offer various perspectives without the usual aggression and one-upping, just communicating their ideas with the listeners. Highly recommended as a daily news digest. I like the host, but I hate that he keeps bringing on more and more and more guests until it’s like 5 people talking for 30 seconds each and no one is listening or responding to another. Too diluted. What a refreshing, straight shooting, informative show. Long time NPR listener and supporter and I somehow failed to find this show until a few months ago. So glad I did! I have been listening to Warren Olney everyday for 16 years. Still missing Which Way LA but I consider my self lucky that this real journalist has not abandoned the absurdity of the current news cycle for an ocean view just yet. He's the best there is. Thanks for everything. If you are a left leaning liberal, you have found you podcast. The show is not balanced and does not give differing opinions on any subject. I we looking for a podcast that truly debated the issues from all sides, but this podcast presents one side and suggests if you don't agree you are uneducated and ignorant of reality. It is truly insulting to any reasonably intelligent person. It is wonderful to finally hear the host challenge a guest as he or she is shown to be obviously bias and speaking falsehoods or not entirely telling both sides. Wonderful podcast, this is great. Really interesting, reasoned, balanced discussion every day. "Thanks for having me." "Thanks for having me." "Thanks for having me." "Thanks for having me." "Thanks for having me." Remarkable journalistic instincts. Incisive questions. Sharp, informed guests. Nonpartisan. Balanced. Informative. Thanks, Warren, for your worthy contributions on so many critical, relevant topics. So the Nov. 3rd episode is called "Will the campaigning ever end"! and then the Nov. 4 and Nov. 5th episodes are about....TA DAH! You guessed it, politics! Tried this for a few days but moving on to something else! This was my favorite show on my local NPR. Like the other reviewers said this is fair minded with a great mediator and insightful guests that actually provide more than one angle to the subject being discussed. Glad to be able to get the podcast! My favorite podcast for current events. Well produced. Great topics. Wonderfully hosted. No talking points, always substantive. Listen every day. I'm so happy I can listen to the show again! I missed listening since the show moved to 1pm. Olney is one of America's finest journalists.